AMA Pro Daytona SportBike points leader Martin Cardenas and his GEICO Suzuki GSX-R600 recently finished third in Race 2 at Barber Motorsports Park after suspension set-up changes didn’t quite work out and the rear brake developed a problem in Race 1, where he finished fifth. In this video, Cardenas comments on the unique opportunity fans have to meet the riders and see the racebikes up close during the popular AMA Pro fan walk. Be sure to stop by and see the friendly Colombian at the Buckeye Superbike Weekend presented by Dunlop Tire, July 13-15, at the Mid-Ohio Sports Car Course in Lexington, Ohio. 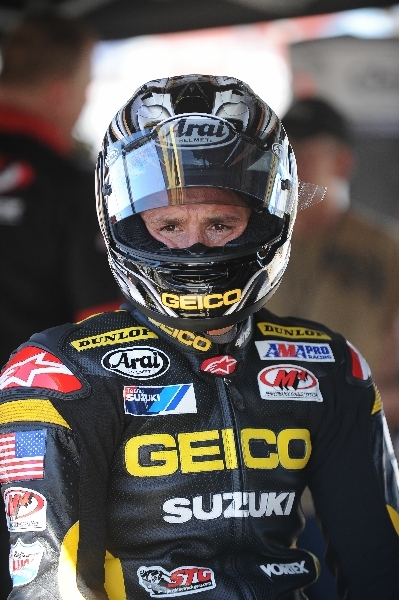 LEEDS, Ala. (June 24) — Martin Cardenas survived another grueling day at Barber Motorsports Park and brought home a respectable third-place finish on his GEICO Suzuki to improve his lead in the GoPro Daytona SportBike championship to 51 points over second-place Jason DiSalvo. Cardenas, who has won six of 10 races this year, entered this weekend’s Triumph SuperBike Classic with a 47-point lead on DiSalvo. In Saturday’s race, DiSalvo finished fourth and Cardenas fifth, shrinking the lead to 45. But Sunday ended with DiSalvo in sixth, so Cardenas ultimately leaves Alabama with a net gain of four points. “I did what I could this weekend,” Cardenas said. “It was an okay result. Third place is enough to make me happy. I finished ahead of DiSalvo today so we made back the points there and that was the most we could ask for. Most of the finishers needed quick baths of cold water and iced wrapped towels around their necks to help them cool down. Temperatures reached 97 degrees and the hottest point of the day came during the race itself. 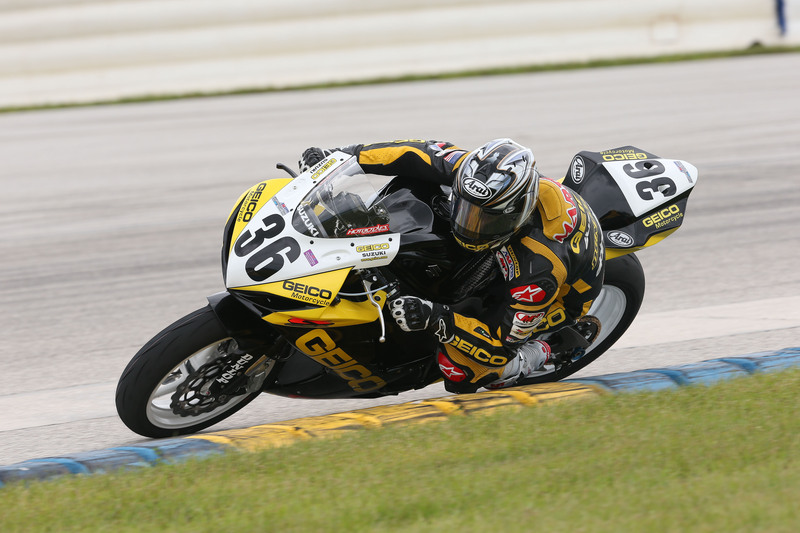 Up next is the Buckeye SuperBike Weekend presented by Dunlop Tire, which takes place July 13-15 at the Mid-Ohio Sports Car Course in Lexington, Ohio. 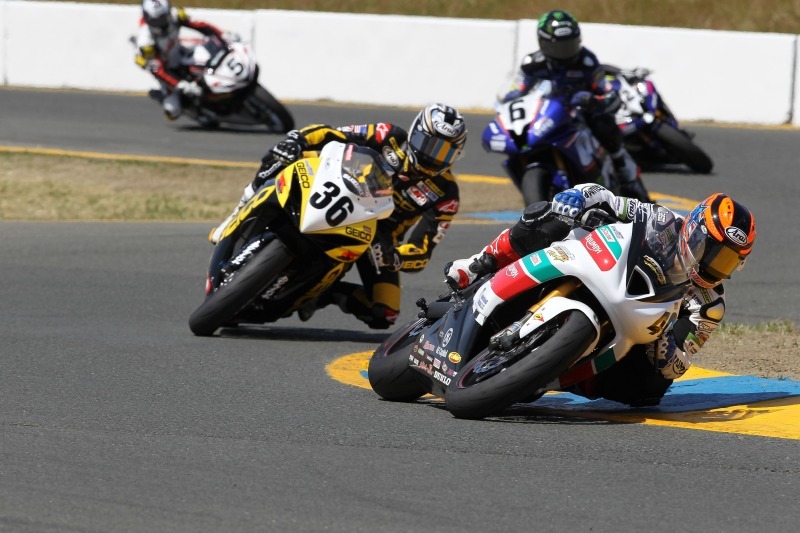 LEEDS, Ala. (June 23) — Despite riding Saturday’s main event of the Triumph SuperBike Classic without a rear brake, Daytona SportBike championship leader Martin Cardenas did a fine job of damage control by finishing in fifth place on his GEICO Suzuki. By maintaining his composure, Cardenas lost just two points to second-ranked rider Jason DiSalvo, who was fourth overall. Cardenas knew he was handicapped before the start of the race when his award-winning crew changed his rear tire after the warm-up lap, something they routinely do. As the lead group of riders separated themselves from the main pack, Cardenas stayed towards the front of the chase pack until he figured out the best way to ride his GSX-R600 around Barber Motorsports Park without the advantage of the back brake. While the top three riders headed to the winner’s circle, Cardenas and crew already were dissecting the issue with the front brake. A winner of six out of nine races this year, Cardenas will hit the track for a warm-up session at 9:30 a.m. Sunday. Race 2 for the GoPro Daytona SportBike class will start at 2:15 p.m. and last for 21 laps around the 2.38-mile, 14-turn circuit. 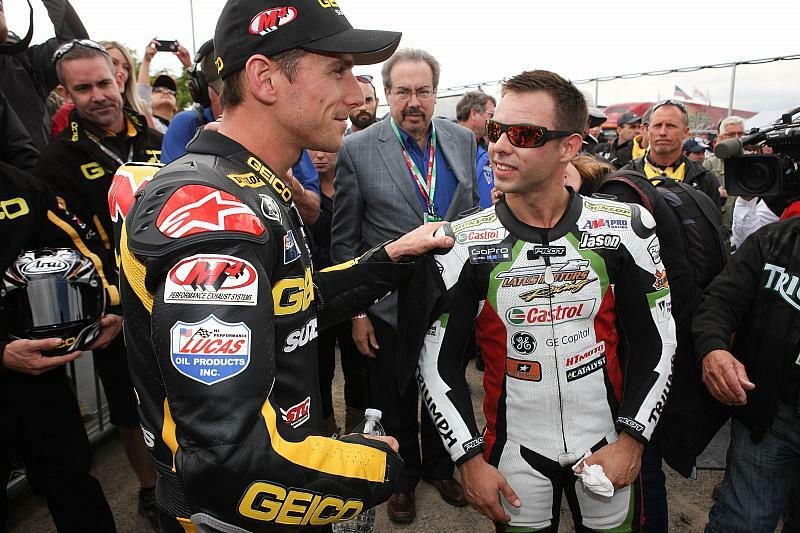 BIRMINGHAM, Ala. (June 22) – The Triumph SuperBike Classic roared to life Friday under punishing conditions at Barber Motorsports Park, but GEICO Suzuki rider Martin Cardenas coolly rode his GSX-R600 to the No. 4 slot in the provisional field with a steady, if not spectacular, 1:28.504 circuit. “Today was okay,” Cardenas said. “In the practice session I felt like I hadn’t been riding for a long time, like a heavy type feeling, which was all on my part and I don’t really know why. Fortunately, by the time we rode in the qualifying session that feeling was gone, so I was much happier. The second and final qualifying session, which will set the grid for both AMA Pro Daytona SportBike races this weekend, will take place from 9:20-9:40 a.m. Saturday morning. Conditions should be much more agreeable at that hour with most teams expecting better numbers than today when temperatures were in the 90s. “It was very, very hot today,” Cardenas said. “You have to stay very hydrated to compensate. It will be very tough to go 21 laps in each of the main events but it’s equal for everyone. I am in good shape and I have trained for these summer races. With six wins in eight GoPro Daytona SportBike starts this year, Cardenas already has a commanding 47-point lead over his nearest rival. He’ll have two chances to pad his position this weekend, with Race 1 at 2 p.m. Saturday and Race 2 at 2:15 p.m. Sunday. Cardenas, 29, of Medellin, Colombia, won this race last year in the SuperBike category. All of the action from this weekend’s races will air on SPEED at 11 p.m. CDT on Monday.